National homeownership rates have fallen from just under 70 percent back in 2004, to just 63.7 percent by 2015, according to the New York Times. This has driven renting prices up significantly, which is good news for property owners seeking to rent out their apartments, condos, and houses, but there is a downside. Many of these new renters were formerly homeowners who lost their homes due to bankruptcy during the financial and housing crash of the previous decade. Many of these families are struggling to pay rent on time, and as nice as it can be to show a little compassion to your tenants when it comes to paying the rent a few days late, property owners are on the line too, with mortgages to keep up with, property rental costs and upkeep, and their own bills and groceries to pay. Whether you are an individual or a business, receiving rent on time and dealing with renters who respect the terms of their leases is crucial for your own financial well-being. 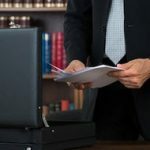 Do not make the mistake of letting your tenant dictate the terms of your property or business, call a Mobile eviction attorney with the law offices of Cloud Willis & Ellis, LLC, today. Our attorneys comply with all state laws of Alabama in the eviction process, negotiation, creating leases, and more. Under the Alabama Landlord Tenant Act, it is unlawful for a landlord to discriminate or retaliate against their tenant. The Act drastically limits the actions a landlord can take in order to evict a tenant, provides that the tenant be given a 30 day notice of a rent raise in some cases, and gives the tenant the right to sue the landlord for the security deposit. It is crucial to follow the rules of the Act in all situations, as the repercussions for the landlord can be drastic. Nevertheless, the landlord still has the right to evict a tenant who has violated the lease or refuses to pay their rent. The Act provides the landlord with rights when it comes to upholding the court’s eviction decision. For example, a tenant who, without just cause, decides to re-enter the premises will be held in contempt, as per statute 35-9A-461. Additional writs, or judgement, may be ordered to uphold the court’s decision, and the tenant could eventually find themselves with criminal trespass in the first degree on their criminal record, which is a first degree misdemeanor, for knowingly entering or remaining in the dwelling. 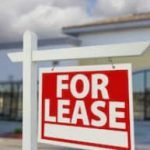 One of the best ways to avoid future problems with your tenants is to create a legally binding lease. Our attorneys help draft concrete leases in addition to issuing unlawful detainers and solving tenant and eviction disputes. A Mobile eviction attorney can help expedite the eviction process and ensure that you do not accidentally make an illegal misstep. Call the Mobile law offices of Cloud Willis & Ellis, LLC today at 205-322-6060 for immediate legal assistance.